Rhode Island owes more than it owns. 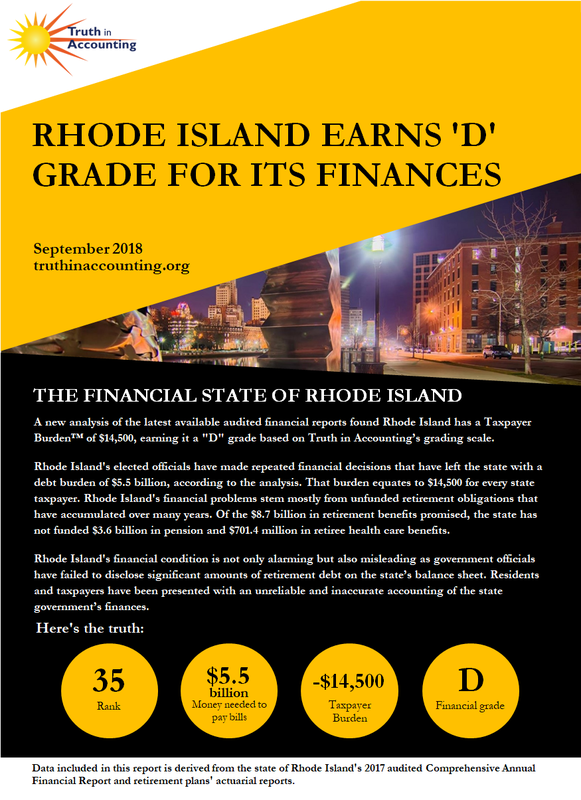 Rhode Island is a Sinkhole State without enough assets to cover its debt. 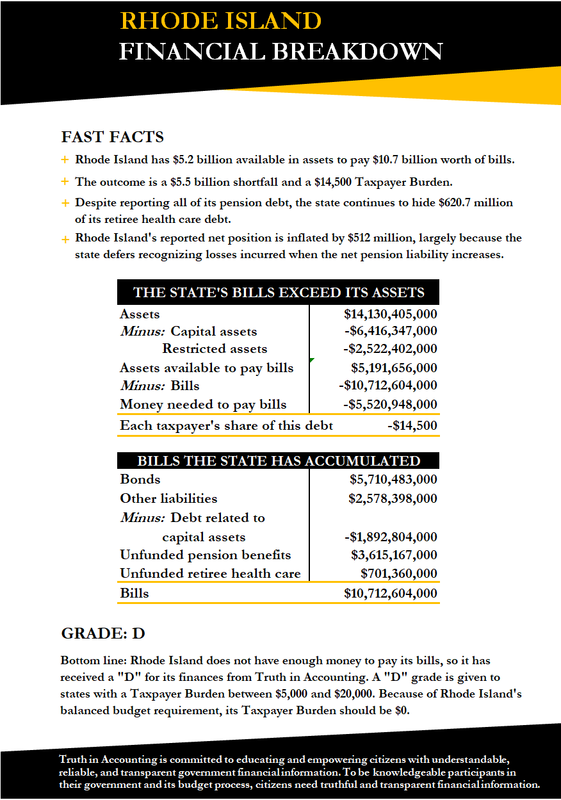 Rhode Island only has $5.2 billion of assets available to pay bills totaling $10.7 billion. Because Rhode Island doesn't have enough money to pay its bills, it has a $5.5 billion financial hole. 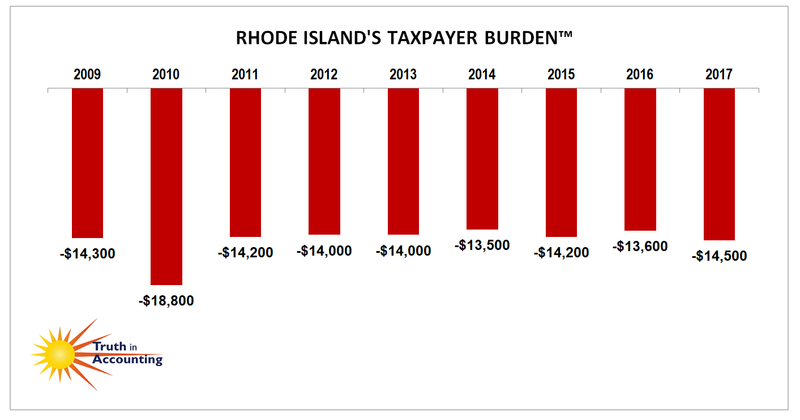 To fill it, each Rhode Island taxpayer would have to send $14,500 to the state. Rhode Island's reported net position is inflated by $512 million, largely because the state defers recognizing losses incurred when the net pension liability increases. The state is still hiding $620.7 million of its retiree health care debt. A new accounting standard will be implemented in the 2018 fiscal year which will require states to report this debt on the balance sheet. City officials made a persuasive argument for leveraging the Scituate Reservoir and the municipal water system to improve its ailing pension system, but the public was having none of it. Will bond rating downgrade spark pension reform?